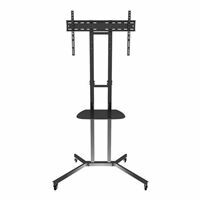 The TV Cart is an ideal professional solution for business and education. The cart is mounted on castors making it completely mobile. The single floating shelf is perfect for DVD players or other AV equipment.